Do you want to feel more energised, lose weight and have better skin? 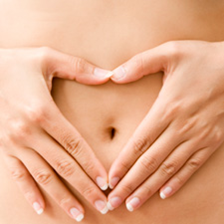 Get rid of painful bloating and stomach cramps, feel more relaxed and confident when socialising? Join them at Balance Studio, Paxton’s Court, Newark on Sunday 22 March for a four-hour workshop packed with hints, help and advice on how to Improve Your Digestive Health. Find out how yoga, mindfulness and relaxation techniques, NLP for a positive mind for change, healthy eating and food swaps can all help redress the symptoms associated with poor gut health. You’ll leave with a greater understanding of the importance of good gut health and some practical steps you can take to achieve it.